Here is the most up to date list of reunions we have! 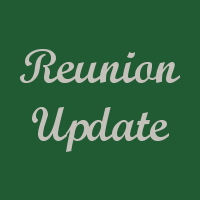 Here are your reunion updates! Here is your updated listing of upcoming reunions!